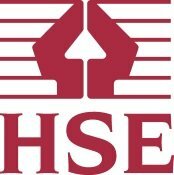 Want to hire a professional Tree Surgeon in Westminster? GraftinGardeners are experts in the arboricultural industry, with many years of experience, and can provide you with tree surgeons in W1, London and surrounding areas. Our tree company offers a compelling tree surgery service for residents in London and complete all works the highest possible standards. Don’t get ripped off by rouge traders, we have experienced and trusted tree specialists, ready to come and inspect your trees and to provide you with a free quote. GraftinGardeners have expert tree surgeons in Westminster and surrounding areas. We are tree care specialists and have three teams of fully qualified arborists, on standby and ready to perform any type of tree works you require. If you require tree surgery in W1, contact us today. We can send round a tree specialist to give you a free onsite quotation on any tree works you need completing. Do you have a dead or diseased tree in your garden or on your property? Do you need an unwanted tree removed to clear up some space in the garden? Whatever the reason you need a tree felled, we can help you. Our tree surgeons are experts and can perform tree felling efficiently, with precision and care. We have all the right tools to fell a tree and can easily remove unwanted trees from your garden or property. We cut down trees in the safest possible way, in a well-controlled and staged manner, by cutting it up in sections or straight felling it (when there is sufficient space), and always work to all UK safety laws. Get in touch with us now for a free tree removal quote. You should never attempt to prune your own trees unless you have sufficient knowledge of tree maintenance and care. 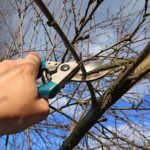 DIY pruning can be detrimental to a trees health so it is recommended to get advice from a professional before making any cuts. This is due to the factors that need to be considered before and after pruning. Some factors include species, age and size. Our tree surgeons have extensive knowledge and are highly experienced at pruning trees and can cut, trim prune and shape any trees. Our tree trimmers closely follow the guidelines in the (BS 3998), ensuring all works are carried out correctly, to leave your trees in a well-balanced and healthy state. Tree stumps are hard and can be tough to remove without the correct tree stump grinding equipment. 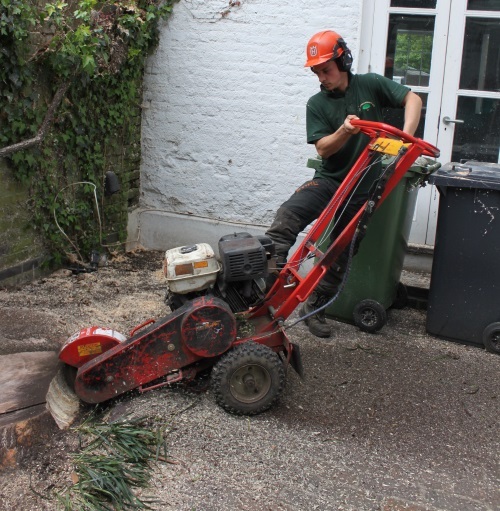 Our tree surgeons have all the tools to remove unwanted tree stumps and could have yours removed in the same day. We have the latest stump removal tools and our stump grinder to take out annoying stumps and remove them for good. Once we have taken it out, our team will fill the resulting hole with mulch (or a composition of your choosing) and level the ground back to the surface, while keeping the area tidy. Call us today for a free quote. Damaged trees from storms can be a nightmare to clean up once they fall on your home. They can cause extensive damage to your property and its surroundings and leave you with a big bill! Our tree surgeons have dealt with many situations of this kind and are no stranger to removing fallen trees and could have things back to normal in no time. We will secure the surrounding area, remove the fallen tree and clear up any mess left behind. Our emergency tree service runs 24 hours a day, 365 days a year, were on call 7 days a week for all tree emergencies. Are you having problems with overgrown ivy? 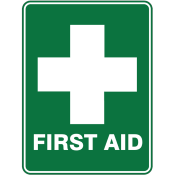 Is it causing damage to your property or its structure? Do you want ivy removed from your building fast? Our arborists can remove any damaging and climbers from your property or building structure by removing it from the roots, to stop it from growing back too soon. We also offer an ivy and climber maintenance service for customers that wish to keep their ivy. We can cut trim and shape your ivy or climbers and can follow your instructions, so you get that desired result you want. Want to plant a new tree in your garden but don’t know where to start? Our company has a broad knowledge of tree management and cultivation and can guide you through the whole planting process. We have planted hundreds of trees in our time and can help you with the sourcing of plants, guide you with optimal planting locations and also offer you advice on tree aftercare. We can even relocate young trees with unestablished root networks. Get in touch with us and we can provide you with a free tree planting quote. Want to get your hedges trimmed or reshaped? Why not let GraftinGardeners come in and trim them for you! We offer a professional hedge trimming service for customers all over south west London. Our arborists can skilfully craft any type of hedge and shape them into many different styles. We can cut, trim and shape any hedge, from small box hedges to the large conifers. We can follow your instructions or you can leave it in our capable hands, the choice is yours. Contact us now for a free hedge cutting quote. To pollard a tree is to cut back all the major branches and limbs. It is used to control growth on certain species of tree such as poplar and willow. It should only be performed on trees that can tolerate it as it can cause failure or death if performed on the incorrect species. If you want to find out what type of pruning your trees require, please contact us today. We will be able to advice you on the correct type of pruning your trees require.